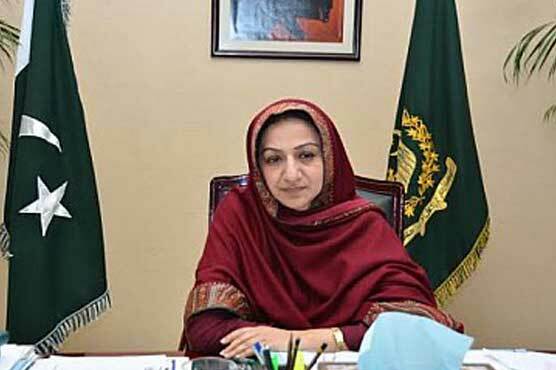 ISLAMABAD: Minister for National Health Services, Regulations and Coordination Saira Afzal Tarar on Sunday launched the ‘National Hepatitis Strategic Framework 2017’. Addressing the participants, the minister said that practical steps were being taken by the government to reduce the incidents of hepatitis in the country. She informed that Pakistan had one of the highest cases of the disease, Hepatitis B and C, in the WHO EMRO region and there was a need to have a consensus like the national strategic framework to control the spread of the disease. She said that according to the National Hepatitis Survey done in 2008, Pakistan has about 12 million people suffering from hepatitis B or C. Within the Eastern Mediterranean region, Pakistan and Egypt bear 80 per cent of hepatitis disease burden, she added. She said that the role of the Ministry of National Health Services at the federal level is policy formulation, regulation and coordination with stakeholders and provinces. “As a policy, we realised that Pakistan also needs to align its steps towards disease elimination, therefore, we asked the international experts to guide us as to which steps we should take to eliminate the disease by 2030,” she added. This body guides the federal government and the provincial hepatitis programmes on devising a way forward to achieve disease control. On the advice of the Technical Advisory Group, the government introduced the new oral hepatitis drugs in the country and negotiated with the pharmaceutical companies to bring the cost down. “Globally we have the cheapest hepatitis drugs available in Pakistan,” she said. The minister added that the advisory group also developed new hepatitis C treatment guidelines which have been handed over to the provinces for use. She also said that the role of the provinces will be of critical importance in implementing the strategic framework on the ground as the real test will be the results achieved in terms of decline in hepatitis prevalence and incidents in the country. “I pledge all-out support to the provincial governments in undertaking this task,” she added.